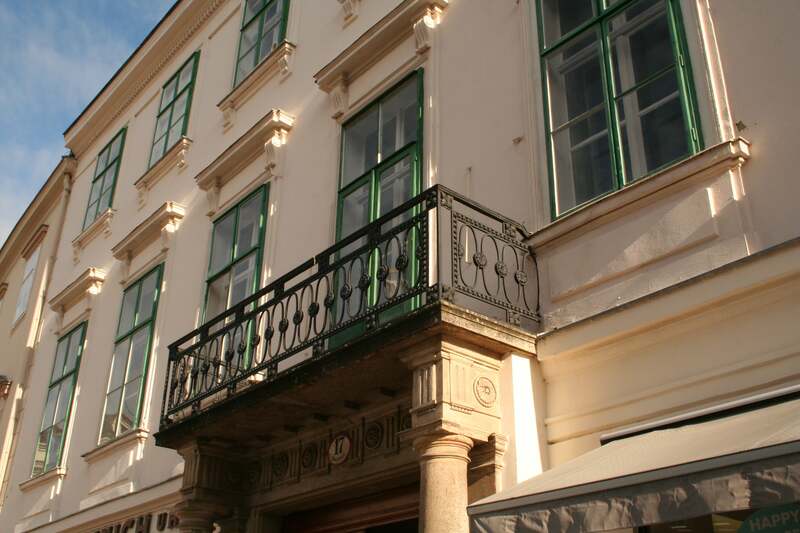 The building on the Hauptplatz, the main square, in Baden was purchased in 1813 by Emperor Francis I, who subsequently came to Baden with his family nearly every year for the summer vacation. In 1917 the Kaiserhaus became a historically significant location through the relocation of the Army High Command to Baden. Emperor Karl I (Charles) commanded his armies from the Kaiserhaus. Exhibitions have been held in these historic rooms since 2008. 2020 marks the 250th anniversary of Ludwig van Beethoven’s birth. But who was this great composer? A genius? A rebel? A legend? It is indisputable that Beethoven has become an iconic figure in the course of the two last centuries. The exhibition in the Kaiserhaus Baden takes various viewpoints to focus on the question of when, why and under what circumstances the “Beethoven Construct” evolved. It is addressed to visitors who play Beethoven, but also those who know him only from hearsay. It is meant for those who love him, but also for those who hate him – and those who think Beethoven is a dog. The Municipality of Baden is proud to bear the banner of the great composer and is celebrating its famous spa guest with manifold events. Come and meet the composer in all his complex personality and trace his development into the iconic figure he has become! We are celebrating Beethoven! Come and join us!